Vita's launch apps might give you a reason to put down your smart phone. 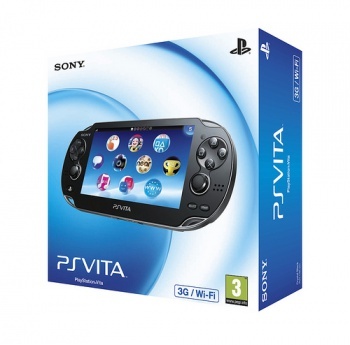 Sony's PlayStation Vita will have a lot to compete with when it comes out early next year. With smart phones and tablets on the rise, any new handheld gaming console is going to have to offer more than an HD screen and a slot for cartridges to succeed. For those interested in the Vita, the good news is that it seems like Sony's on track to do just that with its recently announced line-up of bundled apps, available pre-installed on any new device. If you take a look at the picture in the upper-right of this post you can see what the homescreen of the Vita is going to look like. Going top to bottom, left to right, here's a quick breakdown of what you'll be able to play around with right out of the package. Welcome Park: A tutorial of the Vita's features, experienced by the player through mini games. Party: This is Sony's new cross-game chat system, a heavily desired feature for PS3 that will only be made available on the Vita. Playstation Store: A hub for downloading games, apps, and DLC. Group Messaging: A networking app that lets you share text messages, chats, and images. Photos: The place to take and view photos taken with the device's on-board camera. Near: A new service described by Sony as "an exclusive location based gaming network" that allows you to "find new people based on where you are, challenge them to games or play cooperatively and enjoy a completely unique gaming experience on PS Vita," as well as "send and receive new levels, unlocks and in-game items." Trophies: A collection of all trophies you've earned in game, also viewable by friends. Friends: A list of all your game-playing comrades. This app also allows you to track your friend's recently played games, see their earned trophies, or join their games on the fly. Internet Browser: Vita's standard portal to the web. With the release of this list, it finally seems like we can start to get a real sense of how Sony expects us to use its new hardware. Aside from gaming, the handheld looks like its going to offer a decent balance of social networking, music, and Internet without getting bogged down by trying to be the next iPhone, something with which many other handheld devices on the market seem all too preoccupied. The PS Vita hits Japan late this year on December 17th, but the rest of us are going to have to wait until "early 2012" before we can try it for ourselves.